What does it mean to do something ‘like a girl’? Long-believed perceptions of throwing, running and fighting ‘like a girl,’ were challenged in Always’ “Rewrite the Rules” campaign commercial, during the Super Bowl. For too many girls, being ‘like a girl’ indicates doing them in a weak physical manner. With belief in this concept, a stereotype threat (Steele, 1997; Steele & Aronson, 1995) can put girls at a risk for following the stereotyped expectations of their group, rather than working to their full potential. Building a positive image of oneself is important, but it takes time and practice (Mountain State Centers for Independent Learning, n.d.). Messages that are heard toward groups that a person identifies themselves to be a part of, can influence behavior and success. Essentially, when someone believes that they or someone else will fail or succeed, it can influence failure or success (Schneider, 2012). Can the principles of ‘Rewriting the Rules’ transcend into other cultural stereotypes? By rewriting the scripts, so that groups of people are given successful messages, perhaps more successful outcomes can result. With this in mind, educators, along with positive advertising campaigns, such as ‘Rewriting the Rules’ can impact positive societal change. In essence, positive and encouraging messages about ourselves and about others can be significant factors in overcoming negative stereotypes. Self-esteem isn’t self-absorption; it’s self-respect (Mountain State Centers for Independent Learning, n.d.). If we believe that we are capable, we can become more capable. If we believe that we will fail, we possibly will. Schneider, F. W. (2012). Applied Social Psychology Understanding and Addressing Social and Practical Problems. In F. W. Schneider, Applied Social Psychology Understanding and Addressing Social and Practical Problems Second Edition (pp. 3-16). Thousand Oaks: Sage. 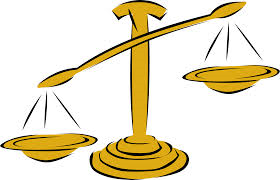 All over the world we can look around and see inequality everywhere, a world unbalanced. In the Untied States we have a runaway obesity epidemic, as I mentioned in a previous post, but there are people all over the world who are starving. The wage gap between the wealthiest 1% and the rest of the world continues to grow. And Nestle continues to extract ground water from draught stricken California (CNBC), while people around the world have little to no access to clean drinking water. Education costs continue to go up, making something that was once a moderate struggle to achieve, has become nearly impossible for many today to go to college. There are children in developing countries who barely receive an elementary education, if any, and leave school with little knowledge of how to better themselves or how to take of their health. Living in poverty makes it extremely difficult to gain access to nutritious food, clean drinking water, and good healthcare in order to achieve optimum health. According to the World Health Organization (WHO), 21,000 children all over the world die everyday due to lack of health care, maternal mortality is much higher in developing countries than it is in industrialized countries, as well as life expectancies vary as much as 37 years in those same countries. Also, developing people who live in poverty are more prone to catching non-communicable diseases and have much higher rates of tuberculosis. 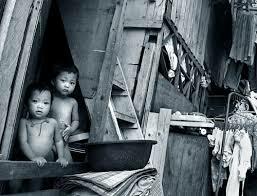 The problem then is providing a way in which people living in poverty can gain access to better medical care. Theory of planned behavior says that we can actually change people’s behaviors by targeting their behavioral intentions (Lafreniere & Cramer). In other words one can be taught to make good behavioral decisions in advance of an activity. While this theory in no way addresses all of the issues with poverty and lack of healthcare, it can be an important piece. For example, one of the reasons for poverty is lack of education and by modeling good health choices in a classroom setting this would then start to remove one of the barriers to accessing healthcare. Perhaps a bigger piece of moving towards improving this problem would be to change policies and procedures in the healthcare world. According to Loignan et al, there are three major factors that cause healthcare to be inaccessible to the poor, and they are difficult living conditions for the poor, lack of communication between patients and providers, and finally the overwhelming complexity of the healthcare system. The goal is to improve access to healthcare for the poor. 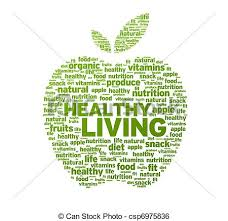 The way to do this is to simplify the healthcare system, and to provide programs that will model good healthcare choices and how to find services to support healthy choices. Legislation at the government level to reduce the amount of paperwork and information necessary to gain access to healthcare and simplifying and streamlining the whole process. Also put training programs in place starting in elementary school by having teachers model good health choices and how, where, and when to access resources to support the good choices they are learning to make. This should be a progressive training continuing to the college level and up to medical school, that way to better communication skills between providers and patients. Evaluating the success of these interventions will come in the form of improved access to healthcare for those living in poverty, reduced infant and maternal deaths, improved living conditions as health improves. Also, as communication improves between providers and patients, more people are going to feel more encouraged to seek out healthcare as they need it, thereby reducing their chances of getting sicker or dying from easily treatable illnesses. The previous statement of “the most effective strategy to convict witches” may seem quite archaic. After all we have come a long way from the Salem witch trials of 1692. How can we even compare the justice system today with it’s advent of DNA evidence to the days of superstition and witch trials? 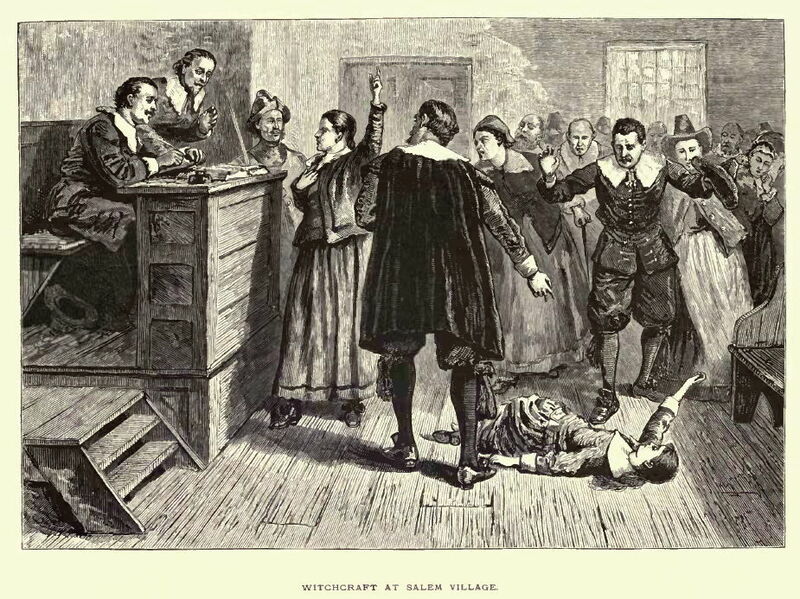 Common American folklore for the Salem witch trials offers trial by ordeal as the method to determine a person’s innocence. Trial by ordeal is essentially a test usually a torturous one to determine a person’s innocence. Many forms of these are capable of killing the accused .One of the most popular is the dunking or drowning of suspected witches.Our current justice system has eliminated quite a few of the flaws of the past, hearsay, gossip and unsupported claims are no longer admissible but were usually accepted during the 1692 Salem witch trials (UMKC, 2009). Historical evidence however, opposes the common folklore of witch dunking or trials by ordeal. In actuality, suspects of practicing witchcraft were typically prosecuted by eyewitness accounts and confessions with the majority of the convicted being hung. These methods of prosecution are ones that are still in practice today and unfortunately can end with results similar to trials of the past, the innocent being convicted of crimes. Cases which have been overturned with DNA evidence such as the 1984 conviction of Ronald Cotton highlight some of the inaccuracies with eyewitness evidence and the possible contamination to eyewitness accounts. The victim in the Cotton case identified Cotton as the perpetrator of the crime from a photo and live police lineup. After serving 11 years in prison, DNA evidence exonerated him and identified the actual perpetrator of the crime (Schneider, Gruman & Coutts, 2012). The victim had erred in their identification of the perpetrator. One possible cause for this is misidentification is a phenomenon known as false memories. 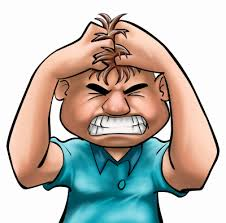 Multiple studies have shown that people are prone to have their memories corrupted when a third or outside party introduces an incorrect detail (Stanford University, 1999). This false detail may then be incorporated into the person’s memory of an event. The person or eyewitness is most likely unaware that this phenomenon has occurred and they commit to this false memory as if it was their own. Additionally, introducing false cues or suggestive language to an eyewitness can also affect their memory causing them to add details that might have not existed. Investigators can unwittingly corrupt eyewitness accounts by simply using suggestive language in their questions, essentially leading the eyewitness down the incorrect path of false recollection. Once these memories are created another factor may influence the eyewitness, a cognitive error known as belief perseverance. This is a tendency for people to maintain their beliefs regardless of evidence opposing their belief or memory. They may do this to the extent of discrediting or misinterpreting the opposing information. This phenomenon often affects jurors when they are presented with evidence that is later deemed inadmissible. There is a tendency for the jurors to continue to give weight to this earlier presented evidence even though they are instructed to ignore it by the court. These causes of misinformation can greatly hinder the ability to seek the truth. Often these instances of misinformation are not deceptions generated on purpose but phenomena created by the human mind. Surveillance cameras often assist in identifying perpetrators of crimes. Recently, it has been suggested that law enforcement officers should wear video recording devices. A video record is an effective tool to help avoid some of the shortcomings in how people remember events and the ways their memories can be affected. An instructional video for prospective jurors and investigators might be prudent in making them aware of theses tendencies in an effort to reduce the effects of these phenomena. Otherwise, we may continue to convict the innocent as we have done in our past. 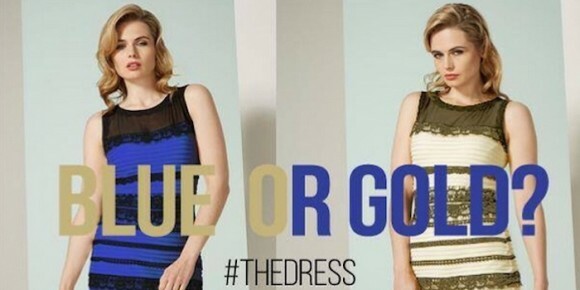 Decision-Making Biases in Group: Is the Dress White and Gold or Blue and Black? A couple of weeks ago there was a fierce debate online about the color of a dress. It all began with a post “Guys, please help me – is this dress white and gold, or blue and black?” from a 21-year-old singer Caitlin McNeil. After that, the color of the dress became a worldwide debate. People generally held two ideas. Some of them saw white and gold, and the others saw blue and black. I was with three friends when we saw the picture of this dress. Three of us saw blue and black, and the other one saw white and gold. After we knew the color each others saw, confirmation bias occurred. According to Wason (1960), confirmation bias is the tendency people seek information which supports their favored positions and ignore disconfirming information (Schneider, Gruman & Coutts, 2012, p.240). The three of us who saw blue and black started talking about how the dress should be blue and black and the other one who saw white and gold seemed little ignored. During the dress talking most of us thought the dress is “definitely blue and black” and “how could those people ever see white and gold”. This is typical representativeness heuristic. In this case individuals are perceived to represent most people that they thought the dress should be blue and black in truth. After a period time of the debate, there was scientists online explained the process how people saw this dress in different colors. The difference was because of differed light sensitivity of eyes and differed initial rays when the photo is taken (Farrell, 2015). Also, it turned out that the dress is actually blue and black according to its manufacturer. When we found that some of us stated “I knew it!” and said they knew the dress is truly blue and black for sure, even though one of them previously doubted maybe the dress is white or even red. This confirms hindsight bias which is the tendency people would believe that an event is more predictable than it actually was (Schneider, Gruman & Coutts, 2012, p.240). Have any of you got the same reaction in the dress color debate before? If you are interest in details about the debate, here is a video about it. Enjoy! Frank W. Schneider; Jamie A. Gruman & Larry M. Coutts. (2012). Applied Social Psychology. p.240-241. Sage. Elliot’s experiment is a typical example when teacher’s attitude influence children’s attitude. There was a real event happened to me which confirms the phenomenon. When I was in junior high school, there was a head teacher for each class. The head teacher not only teaches a subject for the class, but also be with students in this class all the time. The head teacher is responsible for the life and learning of students. In my home town the grades of students could be seen by everyone. Every time after a test the head teacher would read grades loud to the class. Therefore, students in a class could know the grade of every classmate. In this circumstance, sometimes the head teacher performed preference to students who had good grades. The head teacher was being nice to good grade students, while sometimes the teacher did not show much patience with bad grade students. This preference influenced the students in the class. Students regarded good grades as the sign of great people and they gave a lot of respect to good grade students. Students who had good grade were easier to make friends in the class. Compared to that, classmates did not show much patience to bad grade students just like the head teacher did. There was a cleaning job for student in my junior high school. Students were divided into several groups to clean the classroom every day. Once a good grade student did not do the cleaning, classmates showed tolerance. 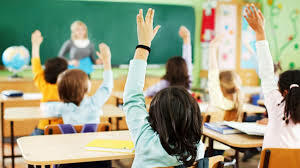 However, when a bad grade student did not do the cleaning, classmates would explain and even perform negative attitude toward the bad grade student. This is an instance which confirms Elliot’s experiment of stereotyping, prejudice and discrimination. In this case, the head teacher’s preference toward good grade students influenced the attitude of the students’. Bandura presented a theory called observational learning (The Pennsylvania State University, 2015). According to this theory, children would learn behaviors through observation. Based on this theory, the example of teacher and students could be explained that the students learned the teacher’s preference through observation. Since the teacher and students spent much time together, the constant observation for teacher’s attitude would influence the students’ attitude easier and quicker. This phenomenon would be a warning for current teachers in education. Because teachers spend much time with students, their behavior and attitudes are likely be followed by their students through observational learning. To educate their students in a better way the teachers may need to start with being aware of their own behavior and attitude in normal life. What could children (and soft-hearted adults like me) learn from the gentle modelling of affection we see in this video? Observational learning theory states that we learn based on what we see. We don’t imitate it exactly, but can creatively expand on the examples we see. Is it naive of me to suggest that we can flood our children’s and student’s world with behavior modelling how we want them to respond to others and that we might even see them being more kind and gentle if that is what we expose them to? I don’t suggest that we protect children from all adversity or violence, but we can teach them decent and appropriate ways to respond to each other in life. And we can watch videos of monkey petting puppies when we need some good behavior modeled for ourselves. Have you ever had to deal with a scenario in your life where something occurs that you really do not like, but you don’t know quite how to go about changing that. Perhaps for example, you have a neighbor that continues to allow their child (Molly) to pick your prized roses out of your yard. You may have asked them nicely, but that clearly hasn’t worked. What do you do now? A simple solution.. Operant Conditioning. Operant conditioning was created by B. F. Skinner. If a a system of rewards and punishments to either increase or decrease a behavior (McLeod, 2007). Now back to our little Miss. Molly. Molly was observed picking roses again (tut-tut), in order to decrease this behavior you could scold her (a punishment) in order to decrease the behavior from occurring. When you observe that Molly picks flowers from her own yard you could reward her with a “Good Job” and perhaps a treat such as a lolly pop. This reward would increase the likely hood of continuing the behavior. In this case, by increasing the chances of her doing another behavior (picking flowers out of her own yard) and decreasing the chance of her picking the roses, the behavior of picking your roses can become extinct. This system is often used for training animals, but many may not associate it with people. Give it a try you may find it works well! If you make a point to tell a child every time they do something correctly that they did a good job, you may notice a continual of good behavior. Below is a great example of Operant Conditioning taken from “The Big Bang Theory”. This clip is a wonderful example of how punishment (his scolds or negative looks) and rewards (chocolates) can be used to modify behavior. As a college student like many others, I am sure I am not the only one to burn out around half way through the semester. Between work, school, family commitments, and life that just happens unexpectedly, it is easy to feel overwhelmed and discouraged especially when classes are getting to the bulk of the semester or work becomes more stressful than usual. When feeling burned out it can be difficult to take a much needed break for a day or two when everything else is going on. Something will probably have to not be completed if you take that break with so much happening. Unfortunately, usually the easiest thing to slack on is school. Work is needed to pay the bills, family will usually hold a person accountable if commitments have been with them, and the unexpected is just that. School can be stressful not only because of the content and assignments but also the time needed to spend on each course. A typical situation as a result of this might be going out with friends if invited instead of staying home and doing that difficult assignment that is due by the end of the night. Or maybe a person’s brother or sister invites them stay with them for a weekend getaway before this person had any time to study for a big test that they were already not confident in passing. If a person is burned out and the opportunity presents itself, they are more likely to say – yes, sure why not? I deserve a break. – knowing that their work and grades will suffer, especially if they are not feeling confident about the task. A typical excuse is – yeah, my grade will suffer but I have done most of my other tests and assignments and I really need a break. This is an example of self-handicapping. This is when we create barriers to successful performance before or during a task of achievement (Alexitch, 2012). Research has shown that both men and women usually make excuses ahead of time to make the lack of good performance more acceptable (Smith, 2012). When students expect that they may do poorly on an important task, they often participate in practices that will decrease their chance of achievement so the excuse conceals any lack of ability. Self-handicapping is very relevant in academics because academic achievement reflects intelligence which has many chances of being on display. Self-handicapping behavior provides an excuse for their poor performance instead of their lack of ability (Urdan, 2009). Procrastination is a typical form of self-handicapping. Research has shown that students who began studying for exams later than other students earned lower grades, lower GPAs, and spent less time on academic work resulting in inefficient exam preparation (Smith, 2012). An example of procrastination and self-handicapping is a student who procrastinates until late at night before starting to write their final paper that is due in the morning who will most likely not complete a well written paper and may attribute their poor performance to procrastination. The procrastination behavior is considered self-handicapping if the purpose of the procrastination is to excuse their anticipated poor performance (Urdan, 2009). Self-handicapping is then an intentional undermining behavior that individuals participate in to create the impression that their behavior causes the poor performance and not their lack of ability (Berglas & Jones, 1978). Berglas, S., & Jones, E. E. (1978). Drug choice as a self-handicapping strategy in response to noncontingent success. Journal of Personality and Social Psychology, 36, 405–417. L. Alexitch. (2012). Applying Social Psychology to Education. In F. Schneider, J. Gruman, & L. Coutts (Eds. ), Applied Social Psychology: Understanding and Addressing Social and Practical Problems (2nd ed.). Thousand Oaks: SAGE Publications. R. Smith. (2012). Applying Social Psychology to the Classroom. In F. Schneider, J. Gruman, & L. Coutts (Eds. ), Applied Social Psychology: Understanding and Addressing Social and Practical Problems (2nd ed.). Thousand Oaks: SAGE Publications. When I first saw the movie Saving Private Ryan, I experienced something I had never experienced before. Throughout the first scene of the movie, which was the most realistic war scene that had ever hit movie screens at the time, my entire body was literally shaking. There were soldiers being shot, blown up and set on fire; bullets shooting through the ocean water killing everything in their path; and men crying out for their moms and picking up their own limbs. It was horrifying, yet I could not stop watching it. My friends and I left the theater in silence, both terrified and moved by what we had seen, a glimpse of what war is really like. Like many others, we loved the movie but we were in no hurry to see it again. Five years later, I saw the movie Kill Bill. Although the violence and gore still caused me to cringe, and occasionally close my eyes or peak through my fingers, my body was not shaking. I saw sword fights with limbs getting cut off and blood spewing everywhere. It was a bit uncomfortable but, again, I could not stop watching it. This time, as my friends and I left the theater, we were not silent. Instead, we excitedly talked about our favorite parts and our reactions with one another, and mutually shared an eagerness to see the sequel. Why is it that my reaction to Kill Bill was not the same as Saving Private Ryan? Why do my friends and I keep coming back for more? Increased tolerance and attraction to violent movies is often attributed to the desensitization to violence over time, but the context of the movie and in which the movie is being viewed has also been found to impact ones tolerance and attraction to violent movies. Desensitization occurs when repeated exposure to something that initially caused a certain effect, such as a heightened emotion like anxiety, reduces or even eliminates that effect. An abundance of research has shown that increased exposure to media violence increases one’s tolerance of violence (Ewoldsen & Roskos, 2012). This would explain why my body shook in response to the violence in Saving Private Ryan and not to the violence in Kill Bill or any other violent movies I have seen since. My first exposure to an extreme level of violence in a movie was somewhat traumatic. I was so sensitive to it that my body began to shake. Now, after watching several movies with the same level of violence, it still makes me uncomfortable but not nearly to the same degree as the first time. That being said, the contextual difference between the two movies could also have impacted my response to the violence in them. According to Goldstein (1999), in order for violence in a movie to be appealing, there must be cues to its unreality. Based on the findings of McCauley, Goldstein (1999) explains, “within a dramatic or protective frame, violent imagery becomes exciting rather than anxiety provoking” (p. 280). Kill Bill would fall within a dramatic frame. It is a fictional movie, with fictional characters and has plenty of cues to its unreality including music playing in the background, the most violent scene shown in black and white, unrealistic amounts of blood spraying out severed limbs and even some animation. This may explain why my friends and I experienced more excitement while watching this movie and left with the desire to see more. In contrast, Saving Private Ryan is set during the Invasion of Normandy in World War II. Although the storyline is fictional, the warlike setting and violence in the movie is very realistic in its depiction of soldiers’ experiences during war. There is no music playing in the background, only the sounds of bullets flying, bombs dropping, tanks rolling, soldiers crying and ocean waves crashing during the first scene. There is even some time spent in silence, where the audience views the violence from the perspective of the captain whose hearing has been momentarily lost from the blast of a nearby bomb. The fight scenes are not of a hero whose talent supersedes all of the villains’ talent as in Kill Bill. Instead, many of the soldiers, who represent our fathers and grandfathers, die before even having a chance to fight. Goldstein (1999) addresses this more realistic portrayal in his explanation that “emotions experienced in drama are qualitatively different from their real-life counterparts” (p. 280). Therefore, the emotions I experienced while watching Saving Private Ryan were close to the real thing, as was the violence depicted, resulting in a more drastic response, but because it was not the real thing my distress did not ruin my enjoyment of the movie. One thing that both of these movies and all other violent movies have in common, to make them attractive and tolerable, is the “protective frame” mentioned by Goldstein (1999). As we watch a movie, we are constantly aware of the context in which we are watching it. Goldstein (1999) describes the safety and security of our environment, be it our home, a movie theater or in the arms of a loved one, as allowing us to experience the excitement and emotions of violent situations in movies without concern of being harmed. Having a sense of control, such as holding a remote control, also provides a protective context, which results in less distress and a more pleasurable experience while watching a violent movie. A sense of protection exists when we watch violent movies with others, a practice common amongst violent movie viewers. Finally, we protect ourselves from the violence by emotionally distancing ourselves from it, such as teenage girls looking away and talking about unrelated subjects with their girlfriends and teenage boys not looking away but commenting on the quality of the special effects (Goldstein, 1999). Like me, many people who watch movies with violence have experienced desensitization to the violence in movies. However, desensitization is not the only explanation for the continuing attraction and tolerance of violent movies. Research reveals that the context of the movie and in which the movie is being viewed also impacts the experience of the viewers and their ability to cope with the violence they see. Ewoldsen, D. R., & Roskos, B. (2012). Applying social psychology to the media. In F. W. Schneider, J. A. Gruman, & L. M. Coutts (Authors), Applied social psychology: Understanding and addressing social and practical problems (Second ed., pp. 135-163). Thousand Oaks, CA: SAGE Publications. As technology grows everyday, so does our fascination with what it can do. Technology is amazing and can be very useful in so many ways. It helps people communicate, transfer information, learn, discover, and even save lives in the medical field. For me, the most important uses of the technology I use is my online classes and my cell phone. Technology in transferred in different ways. Technology can be great until the media that comes with it surfaces. For example, besides for mostly school purposes, I am usually on my cell phone instead of my laptop. I have the internet on my cell phone which allows me to have apps, e-mail, and access to websites. Also, I have to admit that I do enjoy watching television. What we see on these outlets of communication and media is often negative. The time and importance we have on these forums and devices is also detrimental to our lives outside of the virtual world. Sure there is a lot of unhealthy and negative content on the internet, social media, and television, but it is also about how much time and energy we lack in other areas of our lives because of it. Television for example not only causes children to see inappropriate shows and commercials, but it also influences their health. They are more likely to spend less time playing outside or even just spending quality time with family (2003). They are also more likely to want what they see advertised such as unhealthy snacks. The media on any platform can also send out messages to impressionable adolescents that you need to be thin, rich, and “hot” which emphasizes that goals in life should be about good looks and materialistic gain. Social media is another forum that impacts society. There are many recent stories of online bullying, among teens especially. It has also become a form of bragging or competition almost. Who has the most followers or virtual “friends”, who did something better than someone else, who looks good, who has the nice clothes or car, these are all influences on people engaging in social media these days. In my opinion, there are two very good things that I appreciate about social media. The fact that it keeps me in touch with my family that lives far away is one. It allows us to keep up with each others’ lives and share pictures. The other thing is being able to view informative web pages from, for example, psychology magazines, art pages, or music stations. Another big impact social media has had on society as a whole is that it has taken away from the value, willingness, and desire to communicate and interact in person instead of online or through a cell phone, if possible (2003). Many times if a person does not live far from another, they still only communicate through social media even though they live close by. Most of the time, the communication doesn’t even exist through a phone call at least, which is still not in person but better than through a text or social media. I believe that overuse of communication through the internet or social media reduces a person’s social skills in face to face contacts. This lack of social and people skills, as some may call it, can lead to an anti-social lifestyle or personality. These types of people can develop social anxiety when they are around groups of people, especially those they do not know. One study in particular found that online social communication skills and self-esteem are correlated. This indicates a link between the strength of offline relationships and time spent online (Jacobsen & Forste, 2011). Some may argue that social media sites can help people that have preexisting social anxiety and low self-esteem, however the weak ties that are formed between many people on social media are not necessarily basis for good relationships and progressive social interaction. Websites such as Facebook favor those who have close relationships by suggesting friends, tagging photos, asking family and relationship questions, and so on, which may cause others who are already feeling low self-esteem or social anxiety who don’t have as many friends to become more introverted. Also, people with low self-esteem may express themselves in ways that are not liked by others whether it is sadness, anger, or overcompensation to be liked, which can make them less likely to make new friends (Forest & Wood, 2012). Social anxiety is one among other negative psychological and physical health issues that social media and television can cause. Not only because of the content that is provided but also the habits that we form and the time and energy we put into such media outlets. Jacobsen, W. C., & Forste, R. (2011). The wired generation: Academic and social outcomes of electronic media use among university students. Cyberpsychology, Behavior and Social Networking, 275–280. Forest, A. L. & Wood, J.V. (2011). When social networking is not working: Individuals with low self-esteem recognize but do not reap the benefits of self-disclosure on Facebook. Psychological Science, 23, 295–302. rcb54 on Where is my Phone? © 2019. Applied Social Psychology (ASP). Powered by WordPress. Cleanr theme by WPShoppe.